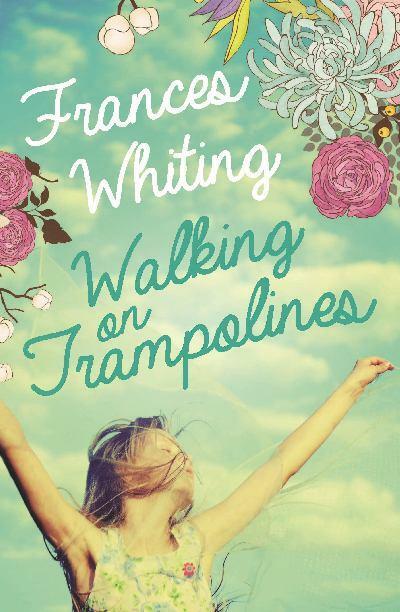 Walking on Trampolines by Frances Whiting is a new novel filled with colorful characters. The name of the main character, Tallulah de Longland, is magical! There are many other people in this book who comprise the universe she lives in, many of whom are the epitome of dysfunction, but that is what makes the story all the more interesting. The book starts out with a bang; literally, the banging of a hotel room door. From this point forward, Tallulah’s life does resemble jumping on a trampoline. After experiencing a heartbreaking disappointment in love, Tallulah finds herself juggling a number of balls in the air while she tries to reconstruct her life. Her immediate family, her former high school classmates, and new boss at the radio station all seem to have their own circus acts going on. It is difficult to determine which of them needs the most help! I found this novel extremely enjoyable. I got a kick out of the made-up words used by of two of the main characters.The plot does a good deal of bouncing back and forth in time, but overall, I like the way the story played out. This is definitely a woman’s story which many of us can relate to on some level. I thought it was touching, heartwarming, and well written. I will be recommending it to my gal pals! This entry was posted in Uncategorized and tagged art, Australia, Books, Catholic schools, dysfunctional families, fiction, Frances Whiting, heartbreak, mental illness, Queensland, radio, Walking on Trampolines. Bookmark the permalink.